Footstools are known to be one of the earliest forms of wooden furniture across many different cultures. 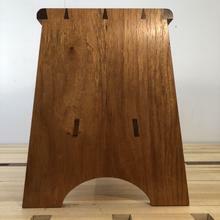 They come in many shapes and sizes, from the very humble 3 legged milking stool made from green timber to the 19th Century ‘Fender’ stool, with its ornate cabriole legs made from Mahogany and upholstered seat. 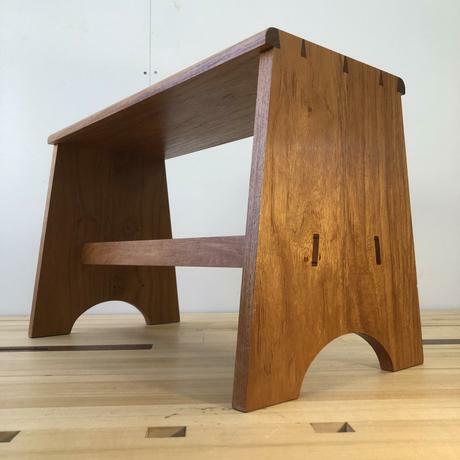 The stool that we will be making during this 10 week course has its origins in the Shaker life. 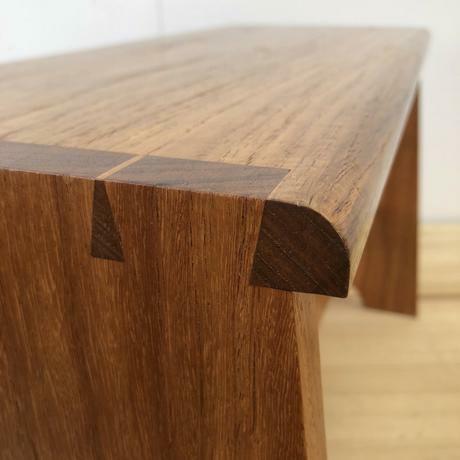 It represents a great opportunity to master both the skills of ‘hand cut dovetails’ and ‘mortise and tenon’ joinery. One aspect of this course that sets it aside from the other courses that we run, is that there will be no machinery used to produce your stool. Hand tools only! You will learn practical tips for laying out and practicing accurate dove tails. We will also completely cover laying out and cutting angled mortise & tenons. You will also be introduced to basic hand planning techniques and how to set up a hand plane accurately. At the end of the course, we will also cover applying a natural oil finish. This footstool is a wonderful functional item that you will cherish and use for many many years to come! We look forward to seeing you at this Beginner’s Course – Create a Shaker Inspired Footstool! I have always wanted to learn basic carpentry and woodworking but never had the opportunity. In my school days girls did sewing and boys did woodwork. I joined Lee’s class 11 weeks ago knowing very little. He explained things simply and was very responsive to questions. He gently led us to the right ways of doing things. I’m so proud of my first project - dovetails, mortise and tenon, hand planing and the fact that wood smells great! I’m looking forward to my next project under the guidance of Lee.